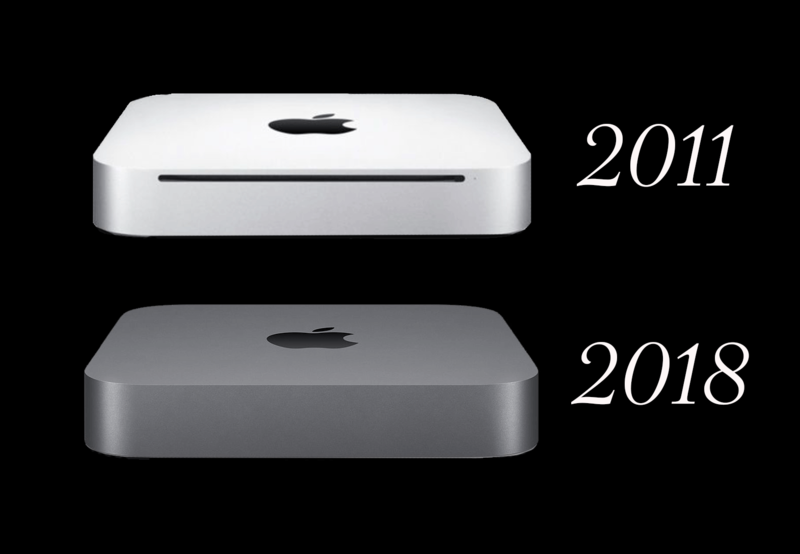 The 2011 Mac Mini Even Had a CD player! When former Pepsi CEO John Scully was running Apple in the Nineties, I gave an interview to MacWeek, and stood behind the company and its products, then in a serious innovation slump, because I had faith Apple would pull out of their Pepsi-Money-Man doldrums and find a way to innovate again. Fortunately they did – they brought back Steve Jobs to run the company. But, unless current CEO Tim Cook and Co can locate another Steve Jobs soon, the future for Apple and its Architectural Digest new digs in Silicon Valley does not appear rosy. The Apple has lost its innovation polish. Tim Cook has never understood the developer class, or the designer class, or the developer-designer class – those women and men who built Apple Computer into what it was. And, yes, I say into what Apple “was.” Because Apple is no longer the leader in creator digital technology. Apple has been sliding from that pinnacle perch for several years now, but it crashed in a heap from its pedestal October 30 when Mr. Cook and Company finally, finally, finally introduced the New Mac Mini that they have been promising loyal Mac users, designers and developers, for several years now. Tim Cook is an advocate for Apple Consumers, which would be a great thing if he still had Steve Jobs around to advocate for Apple Creators. But Steve Jobs is gone, and so is any real advocacy for, allegiance to or understanding of the importance of Apple Creators. Mr. Cook and Co: without us, Apple Consumers would have nothing to consume! By ignoring us, you are absolutely biting the hand that feeds you and all your Consumers. “Yes, we hear you,” Cook and his tech leader staff told us when we Creators voiced concern about having been left behind in favor of Consumers. For three or four years running they kept telling us they heard us. I, like many of my tech friends, had our credit cards ready to buy the New Mini, when finally, finally, finally we learned that it was actually going to appear at the Apple Event in NYC on October 30 2018. I’d been texting for days with my tech best friend, Joe, up in San Fran. He had his credit card ready, too. I was teaching a digital media workshop to the instructional designers at Kaiser when the morning event took place. (They were all on PCs, btw, and I on my portable teaching MacBook Pro.) You better believe, I was on my cell phone as soon as I got out of there. Pulling up the archived live stream, checking all the Apple rumor websites for details. Yes! A New Mini was announced, I texted my friend Joe. I raced back to my studio and pulled up the specs for this New Mini on the Apple website. Wait. Wait. 3.6GHz? Isn’t that about the same as my Old Mini? And I mean old. I don’t even have the most recent, 2014, Mini. I have not used my Old Mini in over a year. It sits on my studio desk, behind my new laptop, waiting to be replaced. It houses an interactive book, Light 2.0, and all the music I wrote and recorded for it. But that book, the follow-up to my hit iTunes podcast of 2005-09, Light 1.0, has not been published because my Old Mini choked on it in its bleeding edge 2017 form. I checked. My Old Mini has a processor speed of 2.66 GHz and is an Intel Core 2 Duo. I texted Joe, what was his? 2.0GHz, turned out his was 3 years older than mine. Talk abut patiently waiting for Apple! I checked online, the top 2014 Mini was 3.0GHz dual-core Intel Core i7 (Turbo Boost up to 3.5G). But the NEW Mini is 3.6GHz, and I’m supposed to be excited that is blazingly faster than our Old Minis? This was supposed to be the day. The day I went online and supplied my Apple ID and bought the New Amazing Mini. The day I officially got back to building my next hit – a music and art laden iBook version my hit podcast, Light 1.0. It’s been ready for over a year. All I needed to do was finish mastering the soundtrack, the soundtrack that just wouldn’t “go” anymore on my Aged Mini. Finally, thanks to my New Amazing Mini, I’d be publishing the interactive multimedia book I’ve been promising my readers for years. This was supposed to be the day I imagined Creators like Joe and me, all over the country, lining up their credit cards and Apple IDs to purchase the Amazing New Minis. Because the NEW Mini is barely faster that my 2011 Mini. And this NEW Mini has a hard drive storage of 128GB. What?? My 2011 Mini came standard with 500GB, and Joe’s 2008 Mini came with 256 gigs. And the NEW Mini comes with 4GB of RAM memory. What?? My 2011 Mini came standard with 8GB of RAM. What is up with this? And this NEW Mini is $799 while my old one was $599. Okay, I can understand a little inflation between 2011 and 2018. But this NEW Mini actually comes with way less than my (7 year) Old Mini! So I go into Apple’s Buy page and employ all the pulldown menus to see what this NEW Mini will cost if I at least upgrade it to have the same specs as my 2011 OLD Mini as far as storage and RAM memory. And it turns out it will cost me over $1200! $1200 to buy a New Mini that is a little faster but everything else being equal, the Same Ol’ Mini I bought for $599 in 2011. Oh, It has a USB-C and HDMI connector. Well, duh. It has to connect to stuff in the modern world, of course, but I would hardly call being able to connect to other modern stuff an innovative or new feature. I text “never mind” to Joe up in San Fran. Joe and I talk later. We can’t believe it, either one of us. What a letdown. But none of the journalists are reporting this fiasco yet. One guy is talking about how he can stack them as servers. Yeah, and I could stack them as doorstops. I read another journalist who does at least broach the subject of how Tim Cook is trying to upscale the price of all his products, and alludes to the fact that Cook is a jerk for doing this with the New Mini for Creators like he has done with all his Consumer products, but the journalist just winds up telling all of us that he will buy it anyway. And here I was anticipating that Apple was going to make a fortune this coming month and holiday season due to all the pent up demand for the Amazing NEW Mini. Who are we? These Die-Hard Mini Advocates who have waited expectantly and patiently for so long? • We are computer designers, and new media producers, and WEB designers, and UX consultants, and digital artists who did not want to buy or use Apple’s “all-in-one” iMac computer any more that any of us want to use all-in-one printers. We are professionals and we want to configure our own set-ups, and we want to use professional grade equipment. We are also not idiots, and know that if one part of an all-in-one anything goes kaput, the whole machine is a goner. • We are high end programmers and WEB / App developers who often take our computers (i.e. all our stuff) with us to events and to the offices of colleagues, and just plug them in at these off-site locations. The Mini was our computer of choice because it was portable that way. • We are Pros who have so many other pieces of equipment on our desks that the Mini with its tiny footprint was a welcome relief to those old huge desktop towers. • We are Pros who need power, but not as much power as the Mac Pro Towers (which btw are outdated, too). We are not editing giant feature length movies with hundreds of thousands of minutes of picture and sound, but we may very well be creating short-length videos for the WEB. • We are Creatives who love to use monitors of our own choice (the Mini comes sans keyboard and monitor), often more than one, and the Mini allowed us to do this. • We are professionals working independently who need to keep costs down, so the ability to buy a monitor at Best Buy or some other electronics store for a couple hundred dollars was huge in terms of our bottom lines. • And we are not just Creatives. My accountant and my insurance agent both have old Minis on their desks waiting to be upgraded. • We are Cutting Edge Professionals who need to stay at the forefront of technology, and did so buying new computers every two to three years, keeping Apple in green for decades – until they failed to deliver Mini updates. • We are faithful Apple Computer users (I bought my first Apple computer in 1984!) – but that era may finally be coming to an end for many of us. My friend Joe, who does lots of 3D, and now wants to get into 3D printing, is eyeing Windows PCs after Tim Cook’s disappointing “event.” He shared with me how Apple has been behind in 3D for years, but he had always expected them to catch up. The Mini introduction appears to signal the end of Joe’s patience for the idea that Apple will ever respect its professional users again since reconfiguring itself as a Consumer Company when Money Man Tim Cook took the helm post Steve Jobs. Me? I’m going to get a new monitor for my laptop, give up on my dream of an Amazing New Mini. And spend some time contemplating how I will finish my interactive multimedia book, Light 2.0 with all its art and music. Will it still be an Apple iBook, or will I look in other directions there, too? The jury is out. I am still in shock at the realization that Tim Cook and Co. really don’t respect the class of people who MAKE all the stuff that runs on their consumer watches and iPhones and iPads and laptops. I am still in shock about the fact that Tim Cook and Co have configured their greedy business plan to ignore the Creator Hands that feed them – their Designers and Developers – and lumped us in with the Consumers whom they are going to keep sticking with higher and higher price tags, because they can. Because the only way to continue escalating profits when a company is not innovating is to raise product prices. This may satisfy some Shareholders with continued increased profits in the short-term, but in the long-term . . . .
Last week, the guy I have always referred to as the Pepsi Man, John Scully, former Apple CEO, (and Pepsi CEO before that), accused Tim Cook of not innovating. Ironic coming from the man who almost ran Apple into the ground in the late 90s due to his lack of innovating! But, Scully is not that far off target, in spite of Scully’s lack of critiquing credentials. Tim Cook has not innovated. He has marketed and monetized all the Apple products that the real innovator, Steve Jobs created. And he has done a good job of it. But the gold mine of innovation Tim Cook inherited from Jobs has run its course. Now Cook is upping product prices in an effort to squeeze the last drop out of that mound of innovation. And at Apple’s October 30 event, Cook demonstrated his intent to take a bite out of the Professional Creator Hands that fed Apple for decades with his introduction of the New Old Mini. When John Scully was running Apple in the Nineties, I gave an interview to MacWeek, and stood behind the company and its products, then in a serious innovation slump, because I still had faith Apple would pull out of their Pepsi-Money-Man doldrums and find a way to innovate again. Fortunately they did – they brought back Steve Jobs to run the company. But unless Tim Cook and Co can locate another Steve Jobs soon, the future for Apple and its Architectural Digest new digs in Silicon Valley is not very rosy. The Apple has lost its innovation polish.